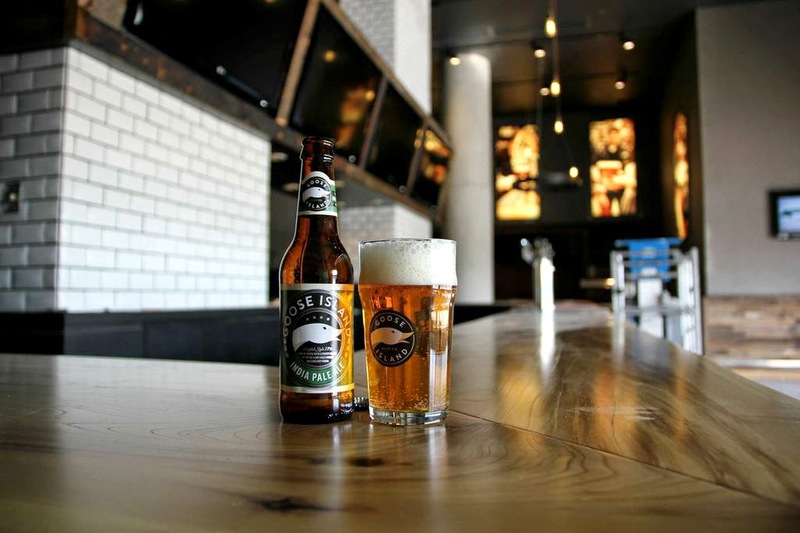 At this Saturday's Chicago Blackhawks home opener game Goose Island will unveil its latest endeavor – a dedicated pub inside of the United Center. Matt Tanaka, Lakeshore Beverage's Digital Marketing Manager had the opportunity to get a sneak-peak of the space, sharing his photos and experience via their blog. Goose Island's Ken Stout showed me around as he explained, with an obvious excitement, the vision for the space. 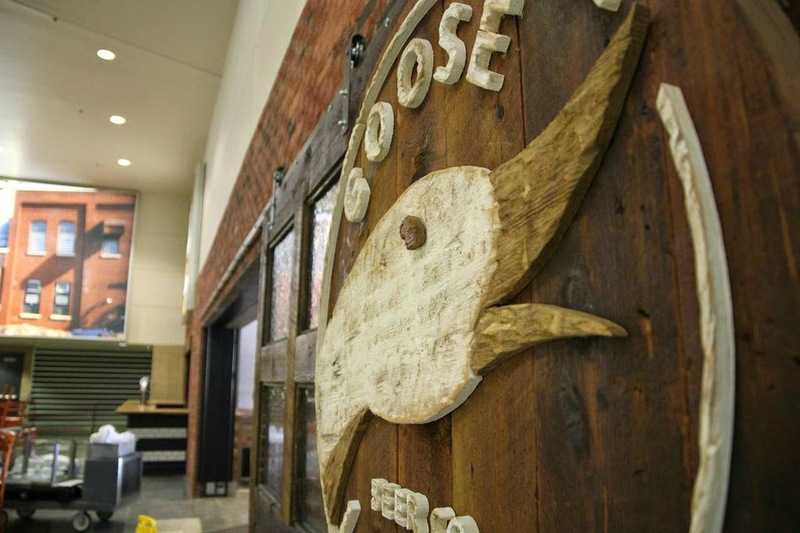 "We wanted to bring the brewery into this space and make people feel that same experience of being at Goose Island. A lot of the materials we're using here we use at the brewery." 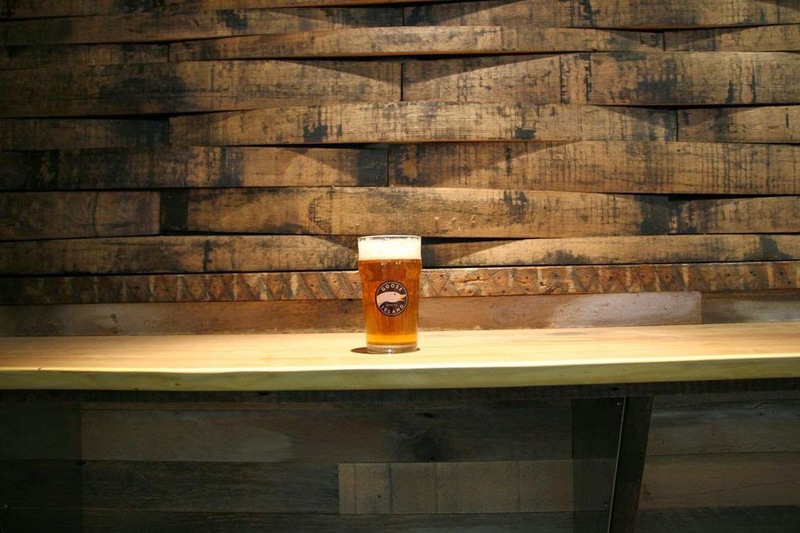 All of the materials used to build the pub were locally sourced and installed, reinforcing the the importance of creating a uniquely Chicago space. 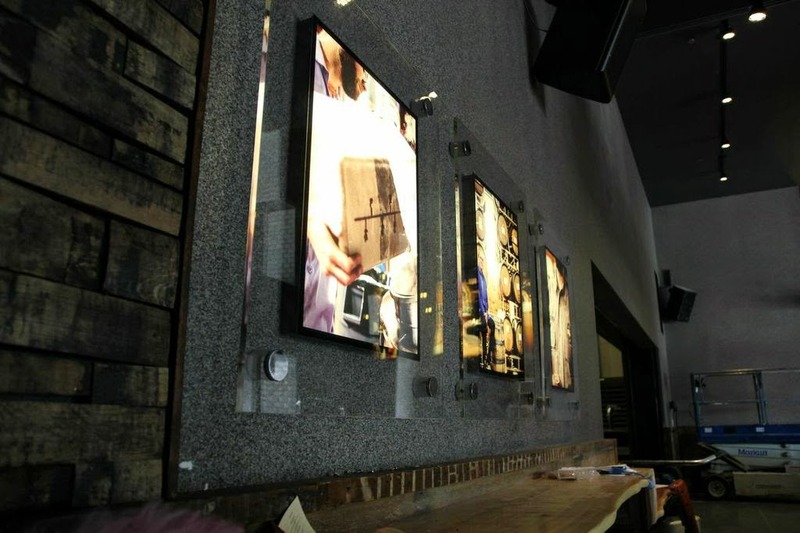 The pub is filled with stories and nods to Goose Island's 26 years of history, from the sections of wood made from Goose Island barrel staves to the lit photos adorning the walls. We highly suggest taking a look for yourself. 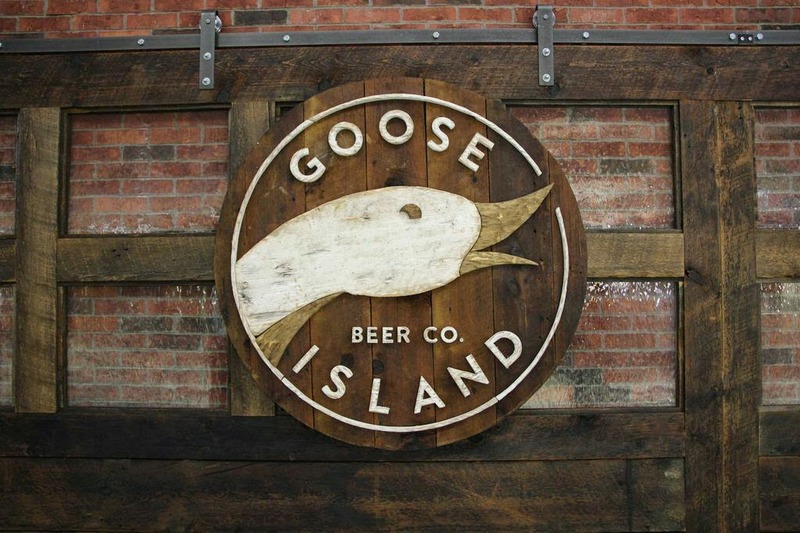 Goose Island plans to have 6 beers available on draft including the IPA, Green Line, 312 Urban Wheat, Matilda, and Sofie, as well as a special rotating draft. 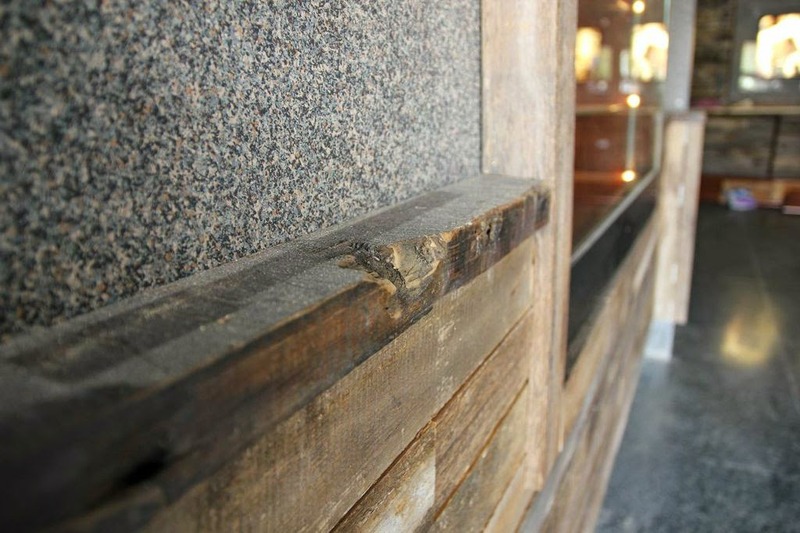 A section of the bar constructed from barrel staves direct from the Goose Island barrel warehouse.